One of the most important things you can do for your website is to keep updated backups. Server crashes and hacks can happen at any time and a backup is essential in keeping you from losing your data. This doesn’t have to be time-consuming. In fact, it can be automated by using a simple plugin. 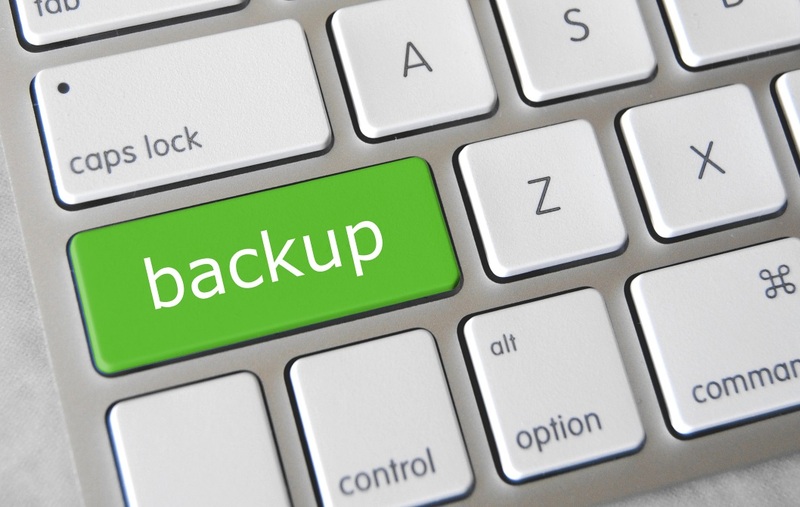 There are several good free and premium backup plugins to help you keep your site backed up. This article takes a look at some of the best WordPress backup plugins. UpdraftPlus lets you easily backup and restore with a single click. 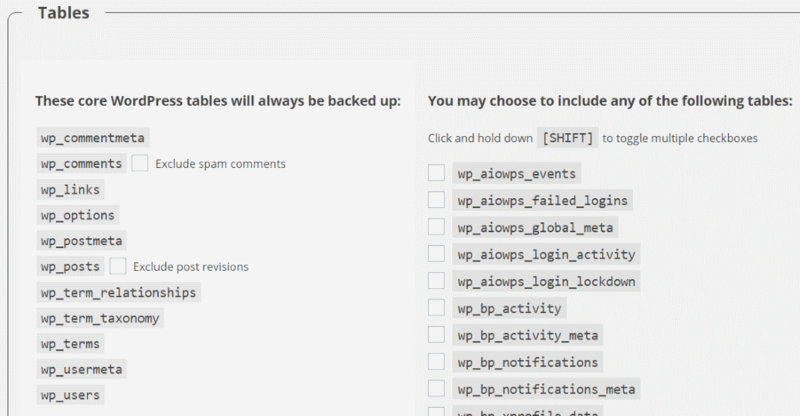 You can automate your WordPress site backups on a repeating schedule and have them to backup into a cloud service such as DropBox, Google Drive, Amazon S3, UpdraftPlus Vault, and others. You can even store them on your server, in email, and FTP. You can choose what to backup (it will back up your database, files, uploads, themes, and plugins) and set different schedules for each. Premium extensions allow you to migrate to a new server, store in more cloud services (you can back up in Microsoft OneDrive, Microsoft Azure, Google Cloud Storage, etc. ), and more. The premium edition starts at $70 and includes all add-ons, upgrades, and support. This one allows you to save your entire installation and push the WordPress backups to an external cloud service such as DropBox, Amazon S3, Microsoft Azure, SugarSync, email, Rackspace, FTP, and more. It combines all of your files into a single zip file. It will also perform some handy functions like check your database, compress your files, give you a list of installed plugins, export WordPress via XML, and more. The premium edition starts at $75 and adds new clouds services (Google Drive and Amazon Glacier), and allows you to add and change directories on all cloud services. It also adds wizards for tasks such as scheduled backups, system tests, and import settings and backup jobs. It includes premium support and automatic updates. This one is a subscription service by Automattic (the makers of WordPress). It automatically performs daily backups or you themes, plugins, uploads, and database and keeps them for 30 days (Basic edition - $9 per month or $99 per year). You can view, download, or restore any of the backups. It includes an automated restore feature which allows you to choose the backup to restore. It connects with Akismet for spam protection. It includes support to help you make backups and perform restores. The premium edition ($29 per month or $299 per year) performs real-time backup and daily security scans. It keeps a full backup archive and you can view, download, and restore from any of them. 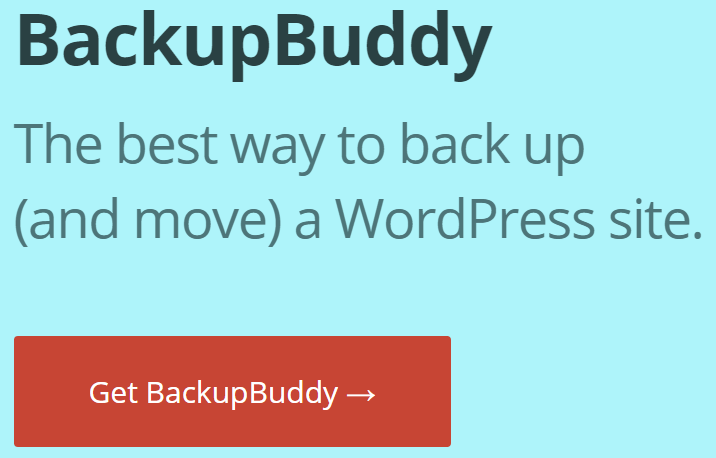 BackupBuddy is a WordPress backup service from iThemes that will back up and store your files on their servers (it includes 1GB of space), or in a cloud service such as Amazon S3, Dropbox, Rackspace Cloud, FTP, or email. It performs a complete backup including your database, media library, theme files, plugins, and more. You can choose files to exclude if you want. The backups are automated on a schedule that you set. You can restore any of your files you wish with a few button clicks. It also performs security scans, database scan and repair, mass text replacement, and more. You can perform tasks with the built-in cron manager. You can also migrate your site to another host. Prices start at $80 per year. This is one of the simpler and easier to use WordPress backup plugins. It will make automated scheduled backups of your site including your database and files. You can set multiple schedules. It doesn’t require any setup and it works on servers with low memory and shared hosting. You can exclude files and folders if you want. The free version only stores your files on your server or email them to you. It requires PHP version 5.3.2 or later. The premium edition starts at $24 and has extensions that allow you to backup to cloud services such as Google Drive, Amazon S3, DropBox, Microsoft Azure, Rackspace Cloud, FTP, and more. This is a simple WordPress backup plugin that lets you backup your files on a schedule. There isn’t a lot of setup involved with this one. You choose the database tables, choose whether to download to your computer or to email, and set your backup schedule. You can schedule it to backup hourly, twice daily, once daily, or once weekly. You can also choose which tables to include in the scheduled backups. It doesn’t have a built-in restore function, so the backups will have to be restored manually. This one was made specifically to back up your files to your DropBox account. Once you’ve connected it to your DropBox account you can set up your backup schedule and choose your files. You can choose the day and time the backups will occur, the frequency (daily, weekly, fortnightly, every 4 weeks, 8 weeks, or 12 weeks), and then choose the files or folders to exclude from the backup. It also has premium extensions that will send an email notification ($3.99) and create a zip backup ($6.99). You can buy both together for $9.99. The prices for multi-sites start at $49. Many of these WordPress Backup Plugins allow you to store backups on your server. This can be a great way to create the backup, but I don’t recommend storing them there. If possible I recommend using an online cloud storage. If this isn’t an option then I recommend downloading the backups and keeping them in a safe place. The best thing about using a backup plugin is they don’t take any extra effort once they’re set up. 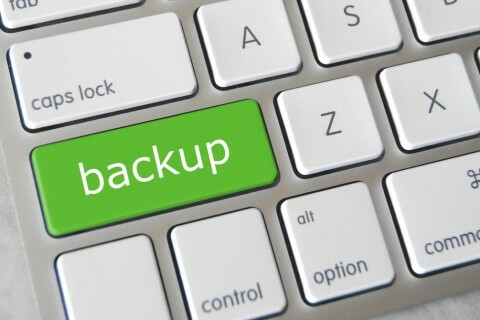 Simply schedule your backups and rest easy knowing that your backup is there if you ever need it. Your turn! Did I leave out your favorite WordPress Backup Plugin? Do you have one to add? Let us know in the comments below. While they call it a migration tool, it works by backing up the site, including the db. Has worked great so far.